Worship is at 9:30 a.m. on Sunday mornings. 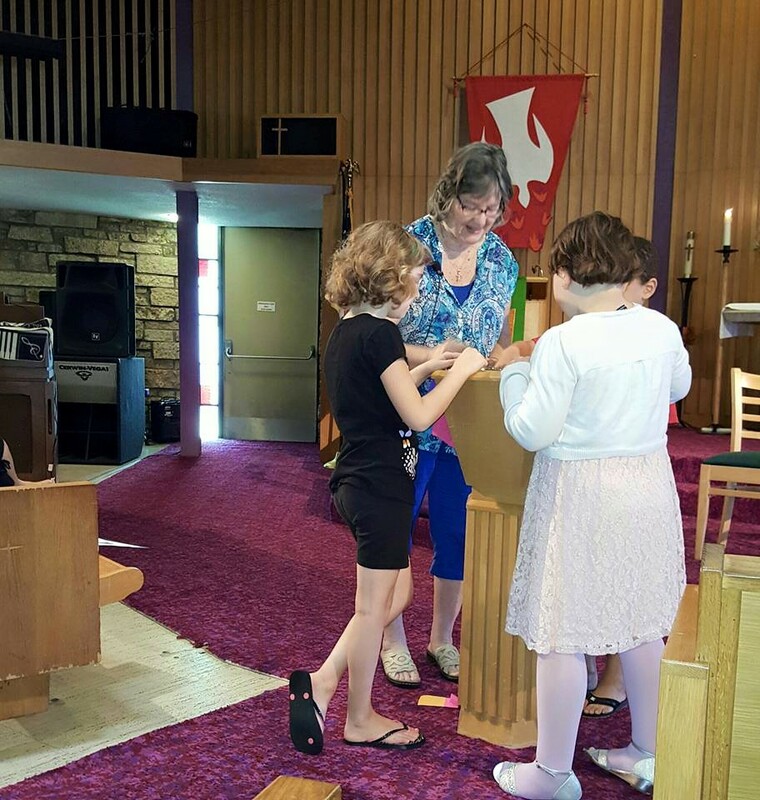 Our worship style is informal and somewhat traditional Lutheran. We laugh, sing, pray and love to hear the story of God’s love for us in Jesus Christ. 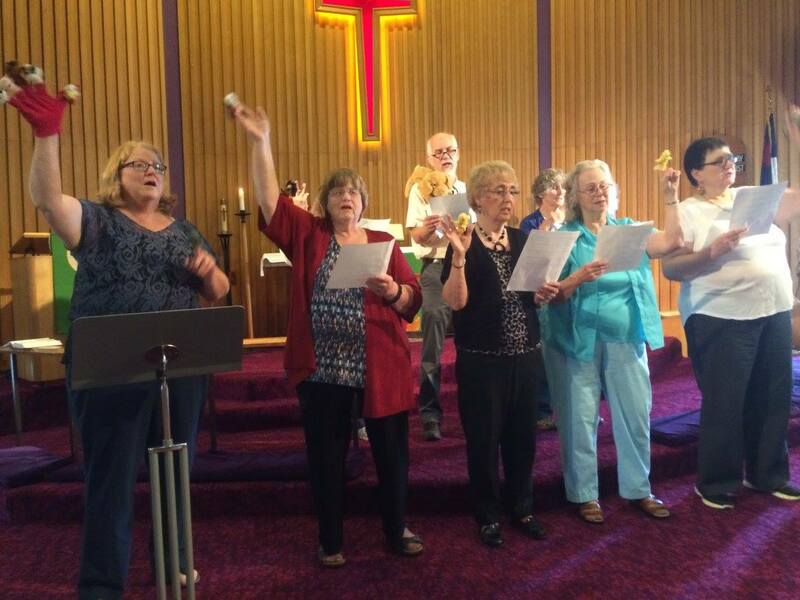 We sing traditional hymns, Gospel songs and folk songs of faith. Holy Communion is offered twice/month on the first and third Sundays of the month and on all festival Sundays. Holy Communion is open to all who believe and confess that Jesus is Lord and Savior. All are welcome at the table of the Lord. 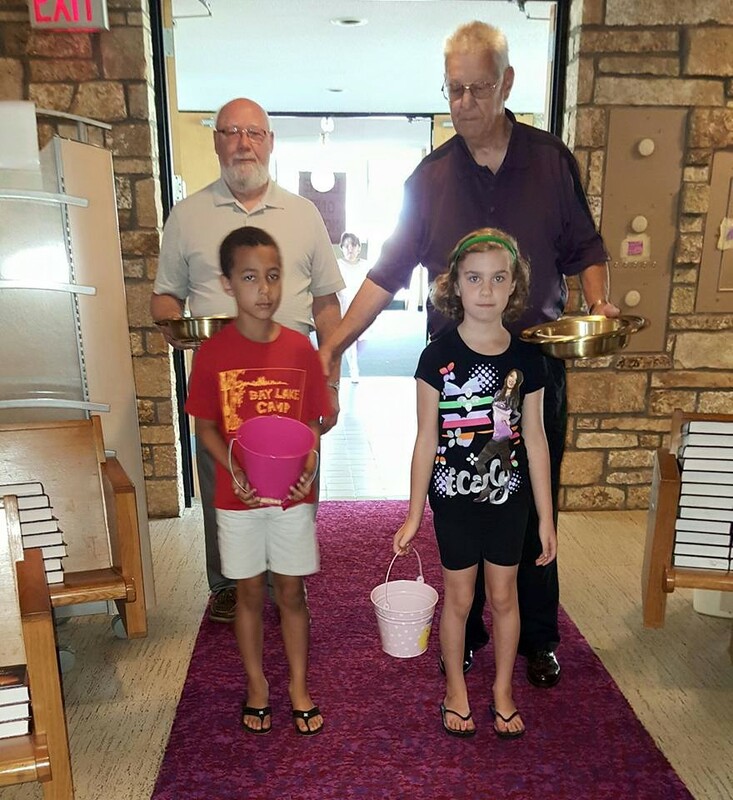 When families discern that their children want to receive Holy Communion, simply speak to the pastor to arrange First Communion conversations. We encourage families to worship together and involve our children in worship. 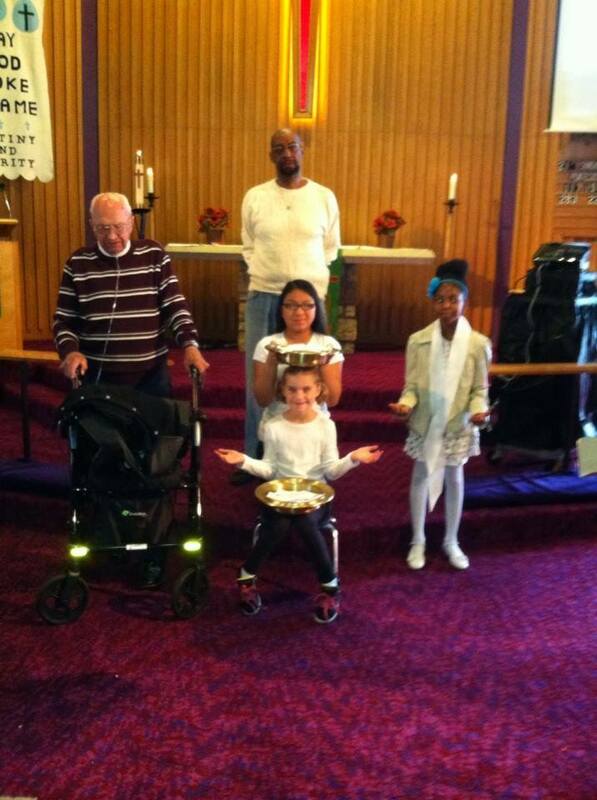 They assist with ushering, communion, lighting candles, leading the singing and participating in Children’s Time. All are welcome at the table of the Lord. 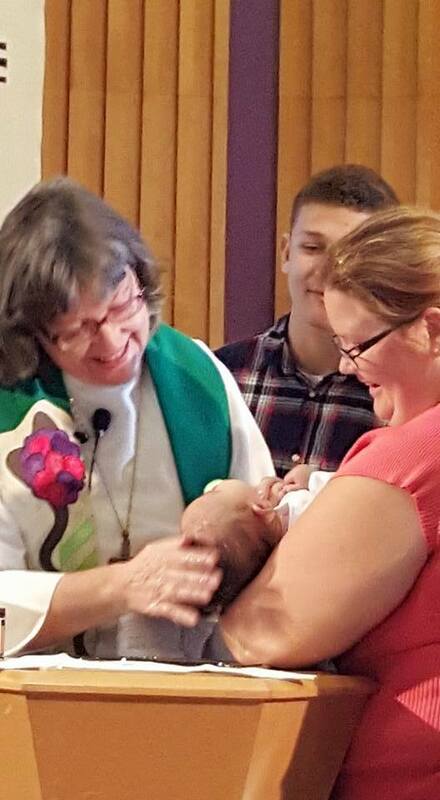 Baptism is gift and blessing! 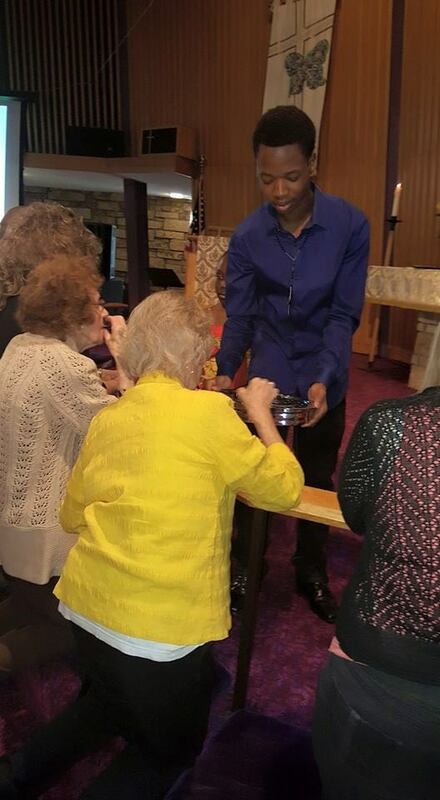 The ushers help our children learn the art and service of ushering. We treasure all of our members and encourage full participation across the generations. Senior Choir: We have a “small but mighty” choir, directed by Wendy Flinner and accompanied by Kathryn Mao. The choir sings about twice/month and for church festivals (Christmas, Easter, Pentecost, etc.) Practice is held on Sunday mornings before worship. The choir does not sing in the summer or during January/February. Anyone who loves to sing is welcome.